Chi-Ada Corporation was formed in 1995. Chi-Ada Corporation has many years of experience in the janitorial industry, with the focus on providing cleaning products and equipment to clients throughout the US. 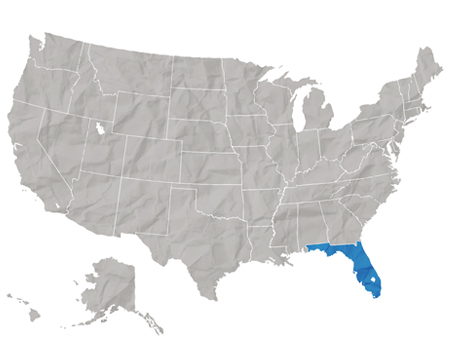 The company is based in South Florida. The business supplies a range of cleaning, janitorial and paper products that offer excellent value for your money and is suitable for all levels of your business, both for domestic and international use. Sourced from a variety of manufacturers, the product range includes cleaning materials, chemicals, mops, buckets, and paper products. Chi-Ada Corpoartion has a growing network of clients, which include schools, businesses, cleaning companies, offices, facilities managers etc. With Chi-Ada Corporation, you're able to order the brand names you trust offered at the most competitive pricing available. Chi-Ada Supply & Distribution knows cleaning mainly because we were bred from it. Our parent company Chi-Ada Corporation has been in the Janitorial Cleaning business for over 20+ years. From their wealth of knowledge we were able to establish a distribution operation where we have discovered tremendous savings. As you may already be aware of the famous quote “A penny saved is a penny earned”, at Chi-Ada Supply & Distribution we focus on maximizing revenue for your operation and we look forward to helping you with any size project you may have. Unlike bigger distribution companies you may have dealt with we don’t require a minimum order. All we require is your commitment to us and we will return that same commitment with 10 times the service. Please feel free to continue to look through our brochure and learn a little bit about who we are. To completely focus on your operation is our primary concern with Chi-Ada Supply & Distribution. We believe every customer matters no matter the size or the order. If you have a pending contract and in need of supplies let us assist you in providing the necessary tools needed to succeed and most importantly let’s grow together. We have a wide array of contacts with manufacturers that range from basic janitorial supplies, paper, and wiping materials. We even offer green cleaning alternatives for those who require it. Just provide us with the details and we can come up with a plan to help elevate your business. Chi-Ada has been in the janitorial cleaning business for over 20 years and through that time we realized the potential in distribution. Our ultimate goal is to pass our savings down to our customers. At Chi-Ada Supply and Distribution, we specialize in a full range of janitorial products ranging from chemicals, mops, paper products, and much more. Chi-Ada Corporation has been around for over 20+ years servicing a variety of locations. Through our times we’ve realize the potential through distribution and felt that we can help our customers realize even more savings. Our goal as a distributor is to supply a variety of clientele from large to small or from 1 case to multiple pallets of product. No order is too small or too big and we commit ourselves to serve our customers. "The purpose of a business is to create a mutually beneficial relationship between itself and those that it serves. When it does that well, it will be around tomorrow to do it some more and we at Chi-Ada Supply & Distribution stand by this idea and have passed down the savings we’ve created to our customers." We are more than glad to work with you and your company. For distribution and supply services, you may fill the form to the left, or you can contact us directly through our info below. The company was founded by Mr. Bart Okoro, who started his career with a college background in Management, emphasizing on Hospitality Management. He later gained practical experience through many years of service while working onsite in a variety of facilities prior to launching his own business. Are you interested in working with a strong and professional corporation? Fill in our form for our available positions. We look forward to having you in our team.